A father and his son spending their summer vacation in the pool-keeping business, at a pool abandoned in favor of a new water park nearby. When Linda, a new and intriguing client arrives and sparks a lovers’ triangle between the three. 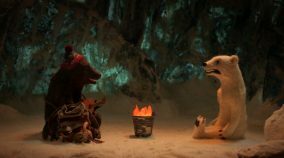 Poles Apart tells the story of an unlikely meeting between Nanuk, a tough female polar bear, and Aklak, an enthusiastic male grizzly bear, brought together by their changing habitats. Together they deal with the issue of global warming from their own intimate point of view. 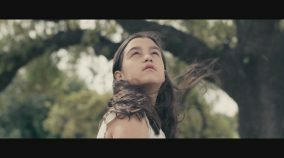 Ábel, 12, has to face the fact that his parents are living in two completely different galaxies of the universe. Now, he is faced with choosing which one he belongs to. Torn between reality and fantasy, he discovers an invention that will bring him close to one of them. Brother and sister, Muhand and Rasha, move to a new village and are subjected to ridicule and scorn as the local children know that their mother was murdered by their father in an “honor killing”. The Summer of Mischief / 28 min. Poles Apart / 12 min. Earthly People / 27 min.